Why HeatFun is so suitable for care? Our infrared panels provide a direct heat transfer that is comparable to natural sun rays. As a result, no warming occurs via air circulation and decreases the circulation of the substance and this has a positive effect on health. Often bacteria and dust particles that spread through air heats are an additional danger to the patients. 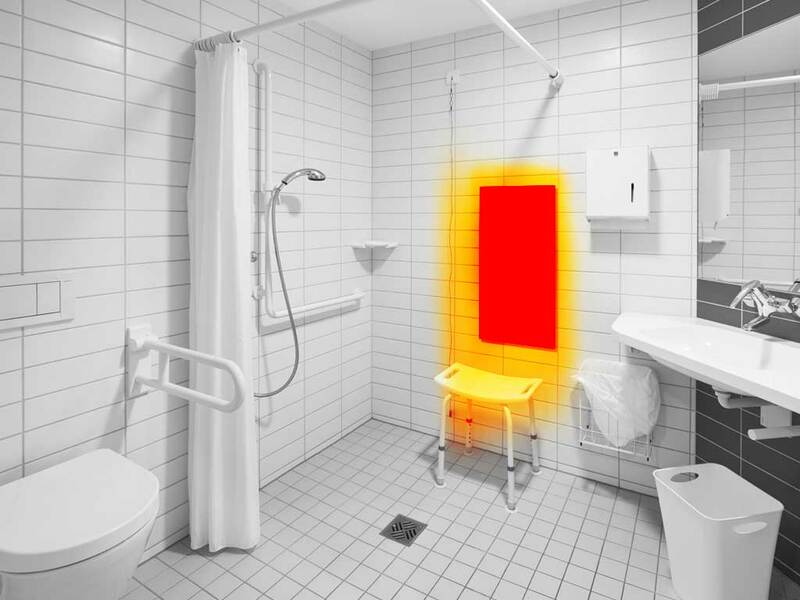 Furthermore, infrared radiation is a natural way of heating that does not dry out the air. Because of this, it is very suitable for people with respiratory infections and people who are sensitive to dry eyes. Patients can not use dry air, of course, they need fresh air and a pleasant temperature according to HealthNet. In addition, infrared rays have traditionally been known to have a healing effect on people with muscular and joint pain and ensure better blood flow. In addition, it is very common for the patient or client to feel cold, as they often sit down or lie down. The entire room heating is not a good solution, given the working environment for the healthcare provider than getting too hot. 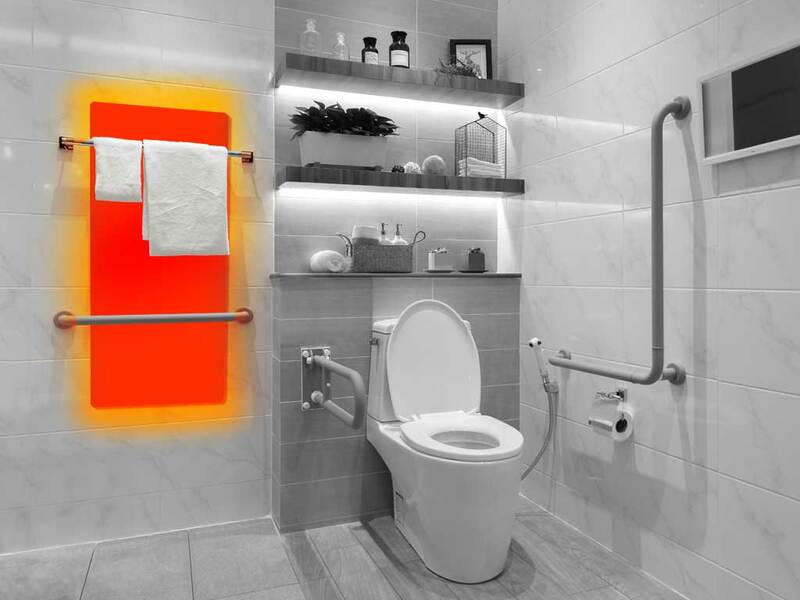 Our custom-made infrared panels provide the solution, as they can heat up very locally and purposefully. Thus it is possible to create a pleasant climate for both the healthcare provider and the patient. Very suitable for old-age homes, hospitals or other healthcare institutions. The replaceable covers are water repellent. Finally, we can also combine infrared heating with LED lighting and acoustics for an optimal working and living environment, adapted to the interior.